They’re baa-ack! 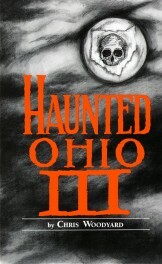 Still more Buckeye ghosts have come swarming out of their graves to give you some sleepless nights in this collection of over 100 bone-chilling tales, including “The Faceless Hitchhiker”; the horrors of Franklin Castle; a haunted trunk that held the spirit of a murderer; a medical clinic haunted by a shuffling “beast”; the ghostly nuns of Toledo. 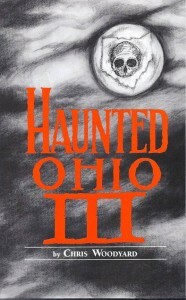 My daughter, who knows a thing or two about seeing ghosts, says this is my scariest book to date. Stories from the following Ohio counties: Allen, Ashland, Ashtabula, Athens, Butler, Carroll, Champaign, Clark, Clermont, Clinton, Columbiana, Coshocton, Cuyahoga, Darke, Defiance, Delaware, Erie, Fairfield, Fayette, Franklin, Gallia, Geauga, Greene, Hamilton, Hancock, Henry, Hocking, Holmes, Lawrence, Lorain, Lucas, Madison, Mahoning, Marion, Medina, Miami, Montgomery, Muskingum, Ottawa, Paulding, Perry, Pickaway, Pike, Preble, Richland, Ross, Sandusky, Seneca, Stark, Summit, Trumbull, Vinton, Warren, Washington, Wayne, Williams, Wood.